Congratulations! You win 62 bonus points with this purchase! bit dry sometimes, i think I'm just not suited for overnight wear ! Good update with delivery and dispatching. There was good customer service help online. It is one of the best. So it is suited, useful and thoroughly effective. I've been using these lenses for a few years and they are the best. It is for my wife. I ordered it to try at first as she was using PureVision. The first impression is very positive. A good and comfortable monthly wear lens. Excellent lens for dry eyes. Worth trying if your eyes are sensitive. Have already been using these lenses through a local opticians so was already very happy with them but was looking to cut down on cost. If you use contact lenses then obviously buying them easily and at a remarkably good price is the best thing to find. 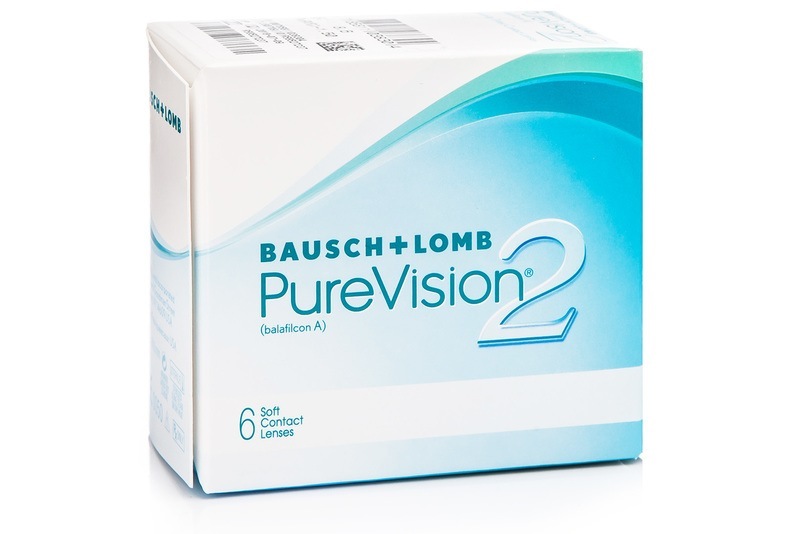 New from Bausch & Lomb, these monthly PureVision 2 contact lenses have high definition optics and excellent oxygen permeability for extra comfort. Some of the thinnest lenses available on the market, they enable sharp, clear vision even in low light conditions. PureVision2 and PureVision2 HD are the same product. Users of the PureVision contacts can start using the new PureVision 2HD lenses without a new prescription. Hi, I have been buying my lenses from you for some years now. Normally I get purevision, and now I think I will order purevision 2 HD. Bestgaze are offering 6 for £14.94 which is considerably cheaper. Are you price matching? Hello, If I have the same power on both eyes do I have to order 2 boxes, one for the right eye and one for the left eye? If you have the same power on both eyes, then you can purchase one box with 6 lenses and you will receive all 6 lenses with the same parameters, which you can use on your both eyes. 6 lenses in each box or in total? 1 box contains 6 lenses. But if you need different power for each eye, then you`ll have to order 2 boxes so 12 lenses in total. If your need further assistance, give us a call for free at 0800 249 4219. Can I sleep with Pure Vision 2? These lenses are for extended wear or continuous so can be left in the eye for their entire period of use and do not need to be removed even at night. But it is always suggest to discuss this with your optician. Let me know if you require further assistance. I am here to help.